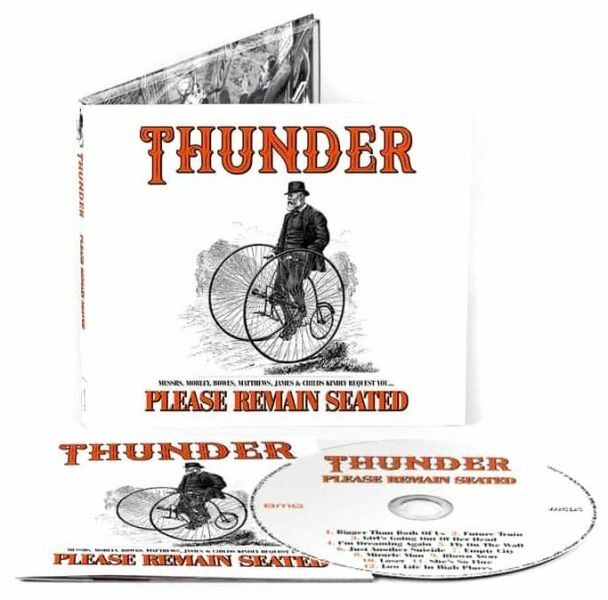 THUNDER - PLEASE REMAIN SEATED (DIGI) | Online Shop | Wizard LTD. Album: "PLEASE REMAIN SEATED (DIGI)"
In celebration of their 30th anniversary, British rockers THUNDER revisit and reinterpret their finest songs in a way you&apos;ve not heard before. Released in North America on Friday, January 18 via BMG, "Please Remain Seated" is the sound of a band taking a strange journey into their own music, but also distilling thirty years of playing together in order to create something truly compelling, taking in flavors of rock, blues, jazz and soul along the way.